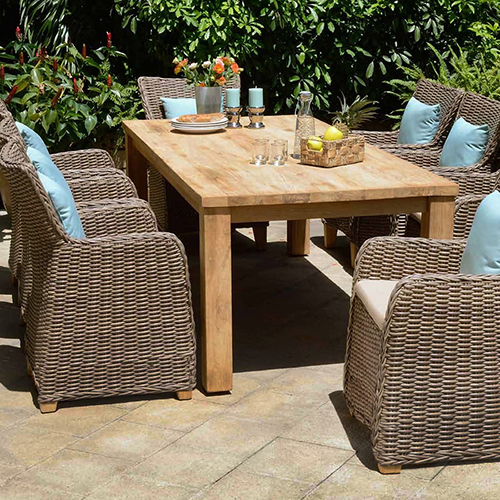 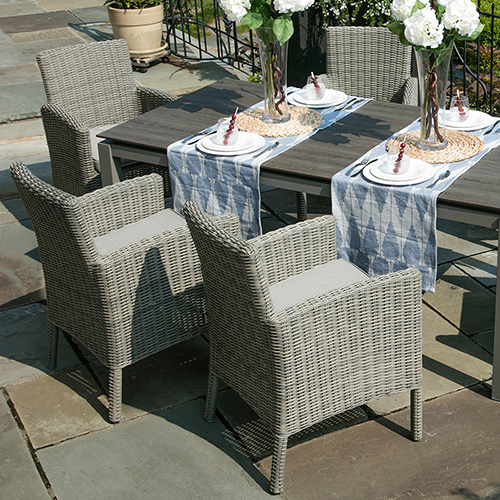 The San Andres is one of our most popular sling style resin wicker weave sets we offer. 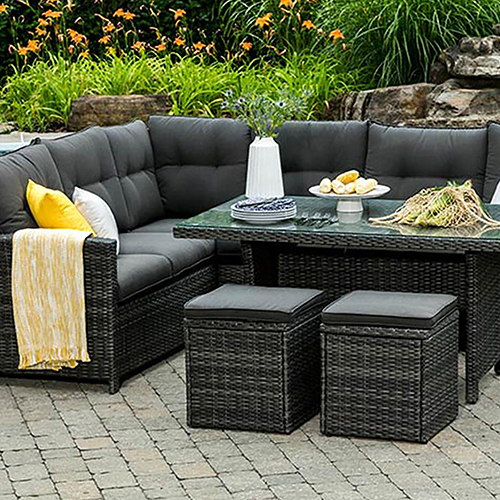 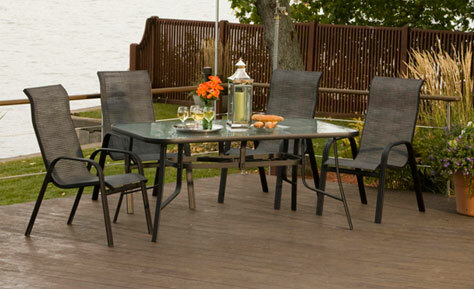 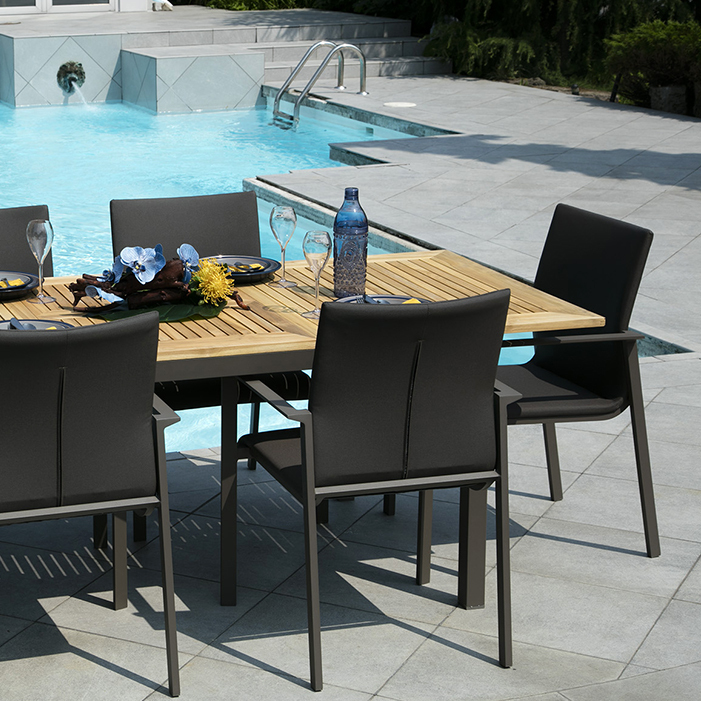 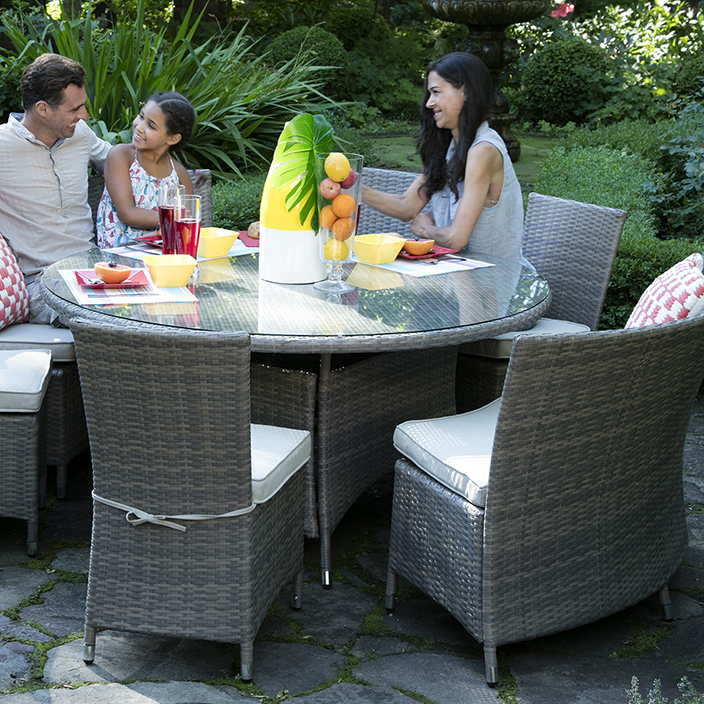 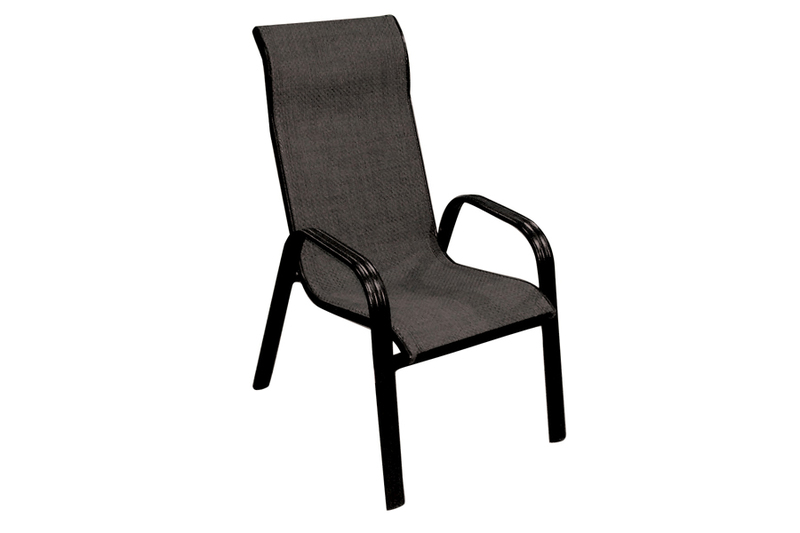 This sleek and stylish design features durable resin wicker weave wrapped around a rust-proof aluminum frame that will provide years of worry free enjoyment. 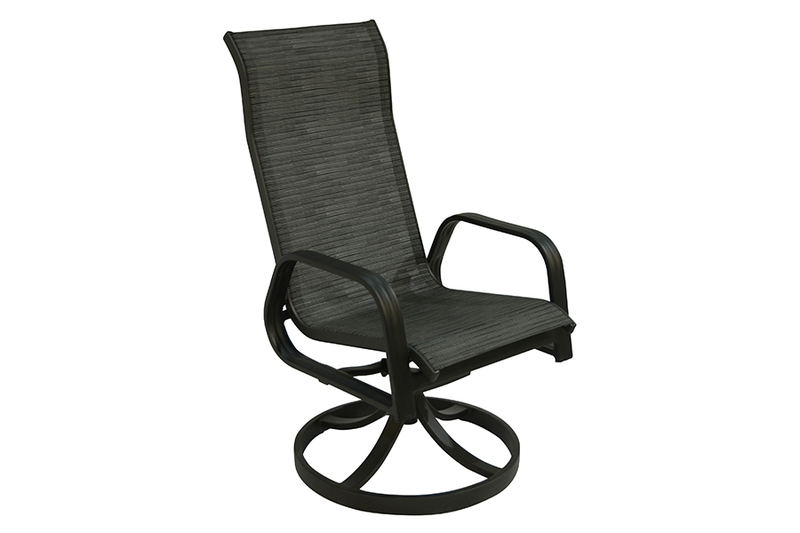 The stackable dining and chaise lounge chairs make winter storage a snap, while the powder coated paint finish provides both beauty and easy maintenance. 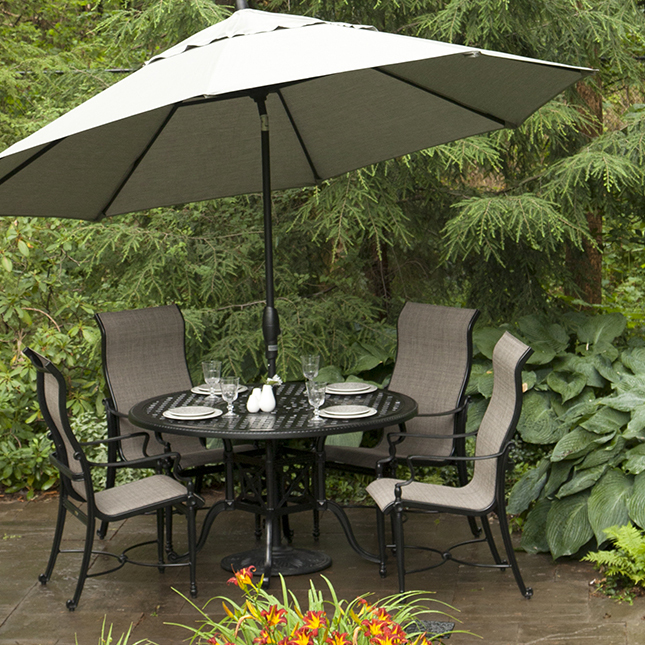 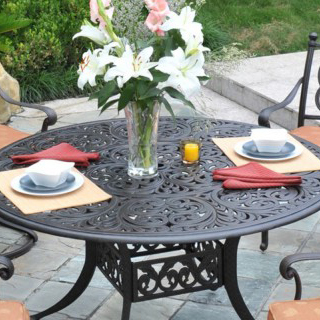 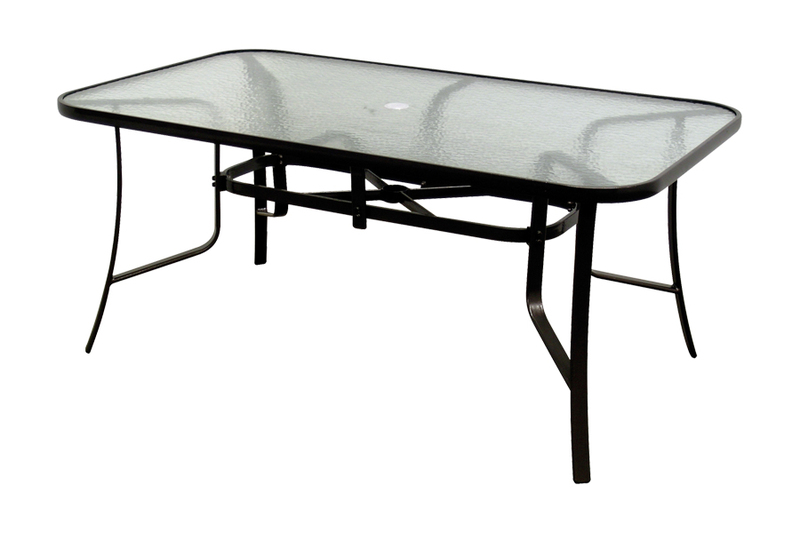 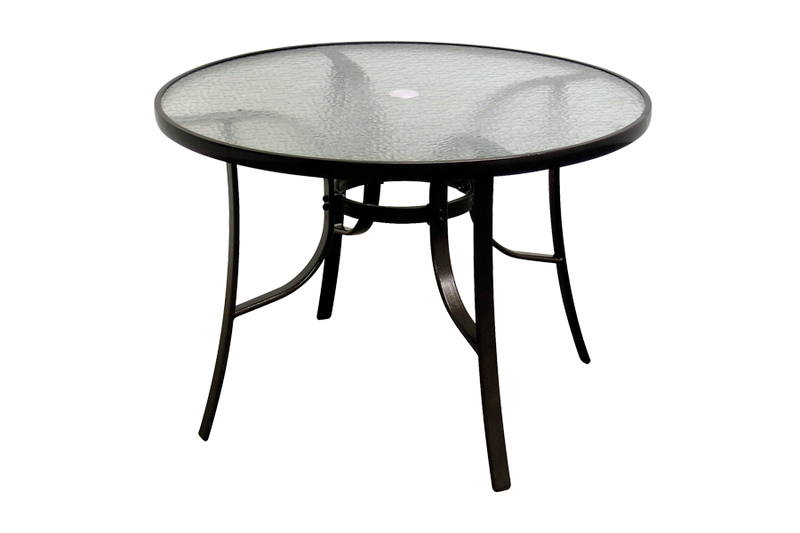 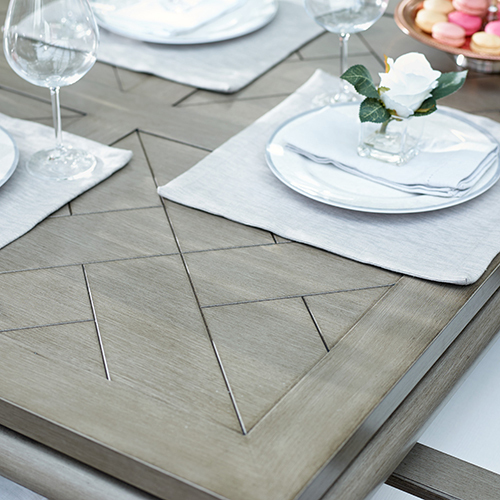 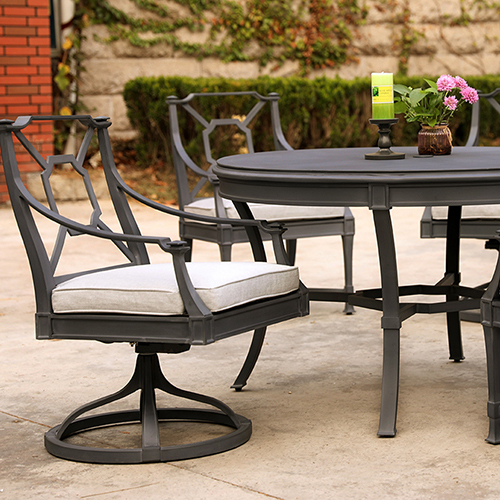 The tempered glass dining table top provides safety in the event of a break while also looking great for backyard dinner parties or events. 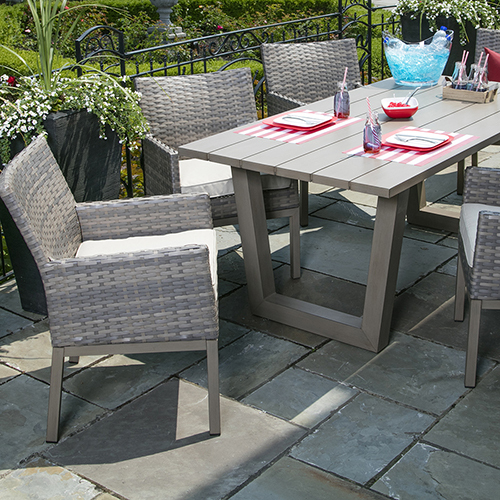 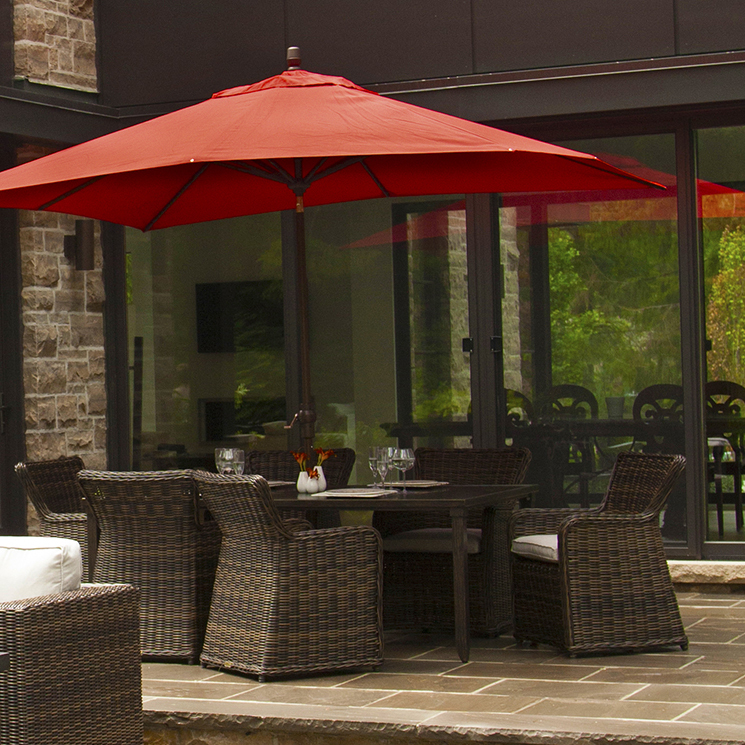 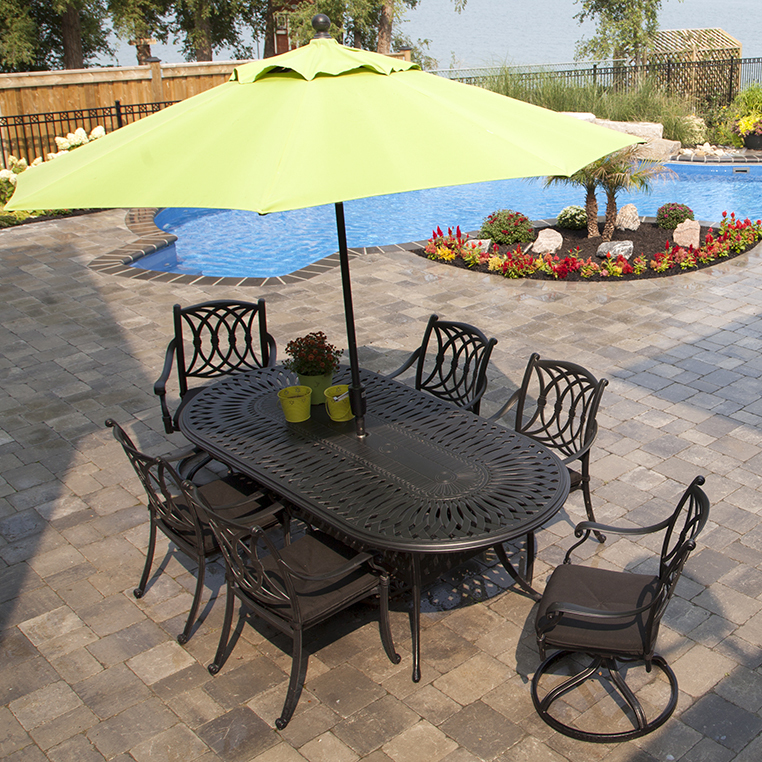 The beautiful combination of comfort and colour make this set a customer favourite!